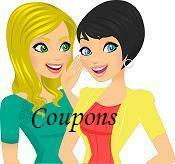 Sunday Coupon Insert Preview 5/25/14 – No Inserts! Because of the holiday weekend, there are no coupon inserts in the Sunday newspaper this week. However, there are still sale ads in there with some good deals.